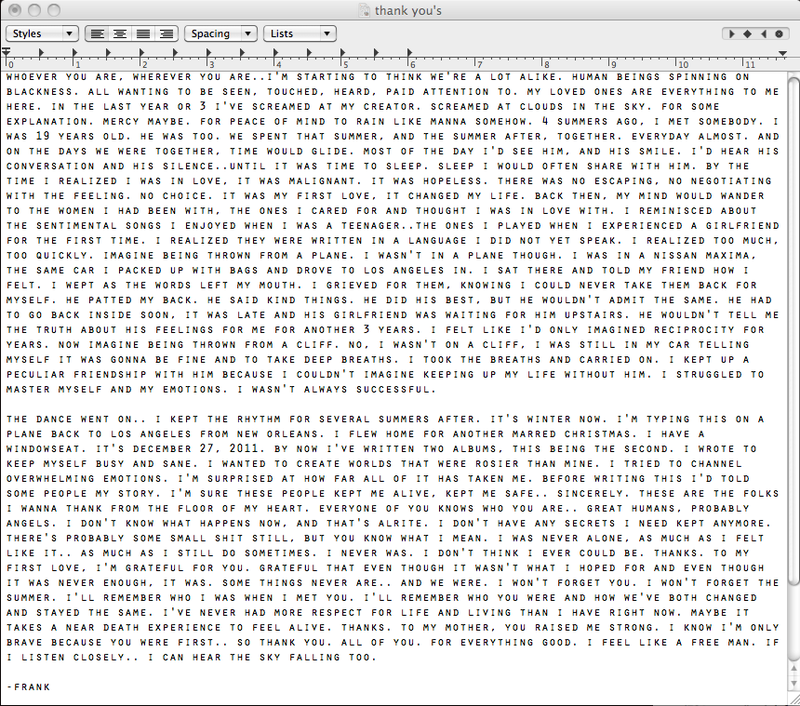 Frank began his heartfelt confession by saying, “this was intended to fill the Thank You’s section in my album credits. But with all the rumors going ‘round… I figured it’d be good to clarify.” What followed was an honest and life-changing experience-- falling in love with a man at 19 and how it affected the way he heard music. But what exactly does all this mean for his career and the Hip-Hop/R&B industry? It means the industry is finally catching up! Yes, Jay-Z has already expressed his support for gay marriage but it's no secret that Hip-Hop has always been a little slow. 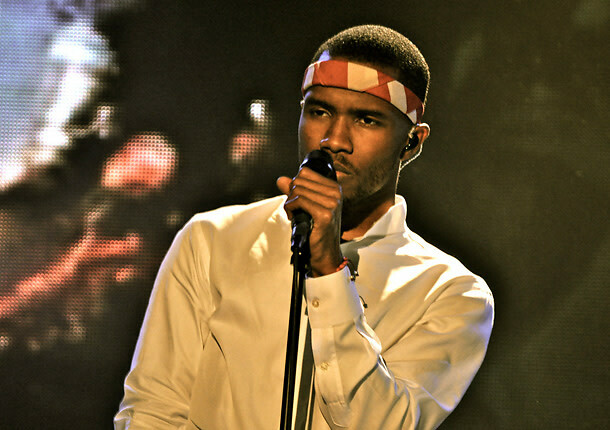 Even though Frank may have lost a few fans, he inspired industry leaders to join together and express their full support for the very political standing of being "gay" or "bisexual." And as far as Frank's career, his sexual orientation should not play a part in how he is perceived as an artist. He has some of the most original and raw talent this industry has ever seen, being featured on Jay-Z and Kanye West's Watch The Throne album. Perhaps the true future of his career can be projected when his album releases, but honestly, who couldn't be inspired and motivated by this album? To read the full letter go HERE. Check out his single "Thinking About You" below!